Let me just say I am not a sewing expert at all. Please excuse me if I am sometimes at a lost for proper sewing terminology. My methods may not be the best, so you may, in the process, want to incorporate your own and/or change some things. These steps just work for me. I came up with this step-by-step tutorial upon the request of a fellow 'craftster'. I have divided it into several small parts. You will notice that I cut my materials as I go about sewing. I do not enjoy cutting, that is why I don't do it all at the beginning of a project. 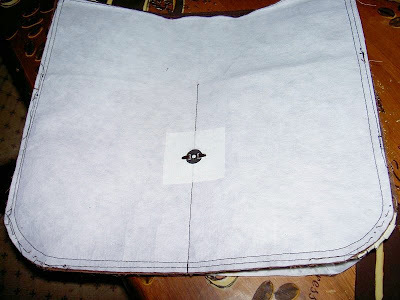 For this reason, dimensions for the fabric pieces are provided as you go along each part of the tutorial. I personally find that if I do one small part at a time and take breaks in between, I end up with good results. I suggest you do the same. Considering my lack of expertise, I am truly happy with how my messenger bag turned out. I hope you will be, too. So...enough of that already and onto the tutorial. Good luck and happy sewing everyone! 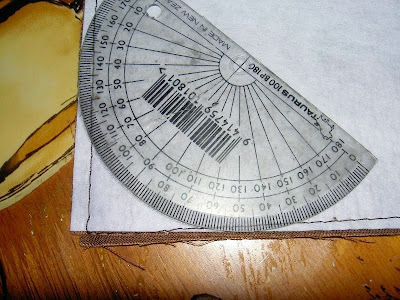 **After cutting your fabric pieces for the front/back of outer bag, front/back of lining, and flap, use a protractor or any curved object to shape the bottom left and right corners,as illustrated. **Use a 1/4" seam allowance throughout, unless otherwise instructed. 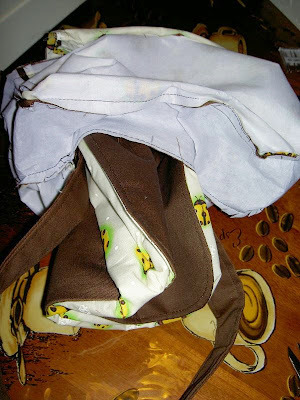 **Except for the pockets, fuse all fabric pieces with interfacing. Only instructions for lining the handle will be provided in this tutorial. **Towards the end of this project, you will be sewing through a thick layer of fabrics. Have an appropriate sewing machine needle ready. 1. Fold pocket piece in half, wrong and long sides together. Press. 2. Topstitch along folded side about 1/4" from the edge. 3. Pin and baste this pocket piece to the main bag front, aligning bottom (longer) edges. 4. 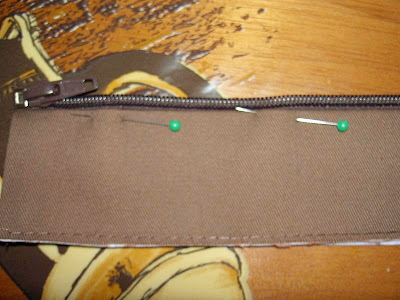 Stitch down along center of pocket to create two equal slots. 5. From the top center, measure 6 3/4" down and mark this spot. Attach the flat half of your magnetic snap right below the mark. 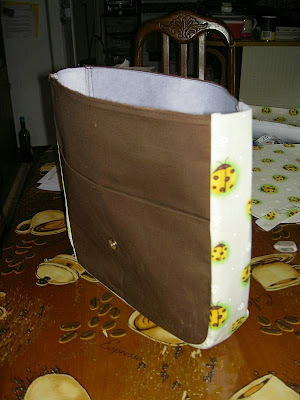 Use steps 1 to 3 above (for front panel) to create your back pocket. 1. Find bottom center of inner flap piece and measure 1 1/4" up. Mark this spot. Attach other half of magnetic snap right above this mark. 2. 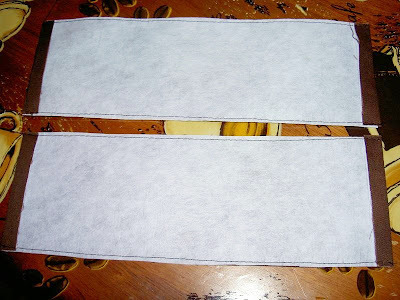 With right sides facing each other, stitch outer and inner flap together along sides and bottom. Leave top open. 3. Turn flap right side out and press. Topstitch 1/4" from the edge. 1. 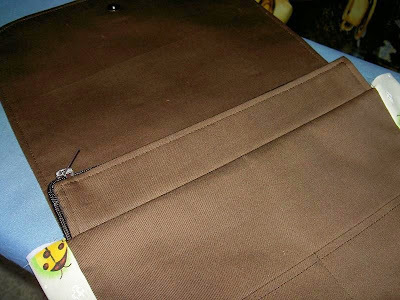 Fold both short ends of zip panels 1/2" in. 2. Fold zip panels in half, wrong and long sides together. Press. 3. Open zip all the way to separate its two sides. 4. 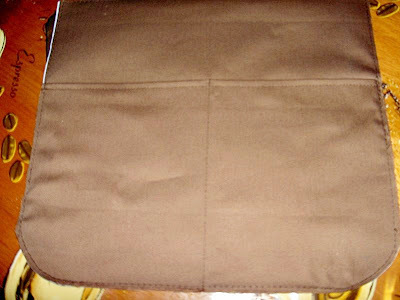 Take one zip side and pin along folded edge of one zip panel. 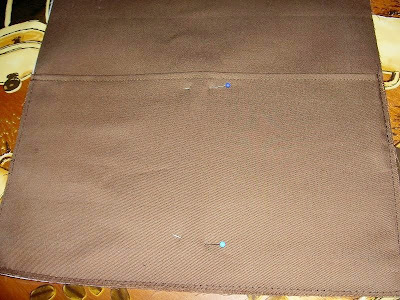 Start with the bottom end of the zip, as pictured. 5. When you reach the other corner, neatly curve zipper to go around the shorter end. Cut off any excess zip length. 6. Do the same with the other zip piece and zip panel. 7. 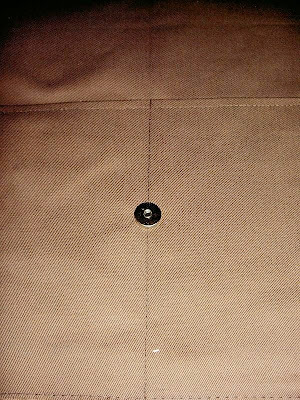 Stitch zipper to panel. You can change your presser foot to a zipper foot at this point. As you can see, however, from the photo below, I did not find using a zipper foot necessary. **Take note that handle length can vary according to your requirement. You can also use a d-ring and slider if you wish to make your handle adjustable. Also, if you do not have enough fabric to cut the entire handle length, you can cut two strips and sew them together. That's what I did. 2. Fold fabric in half to end up with 1 1/2" wide handle. Press. 3. Stitch down 1/8"-1/4" from the edge. Do both long sides. 1. With right sides together, pin gusset around bag front panel (or back panel -- it doesn't really matter which one you start with), starting from the bottom center, going around the curved corners and up the top edges. 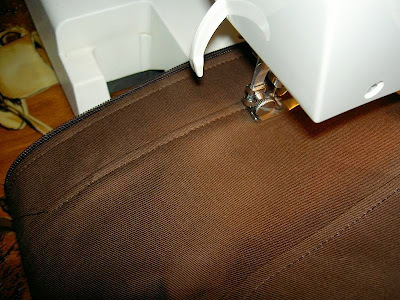 Trim any excess gusset fabric. 2. Carefully stitch around. Remove pins and clip into curves. 3. Do the same with the other panel. 4. Turn bag right side out. 1. 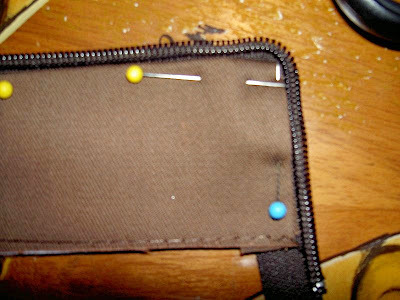 Align and baste flap (magnetic snap side up) along top edge of bag back. 2. Take zip panel with the zipper pull side. 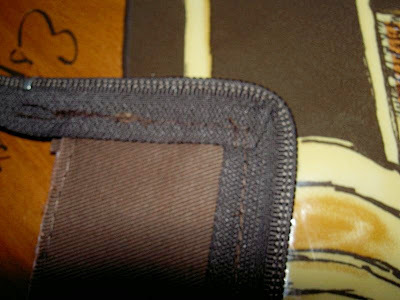 With wrong side up, align and center raw edge along the top edge of the flap/bag back. Pin and baste. 3. Take the other zip panel. 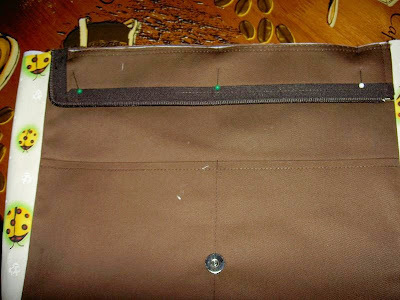 With wrong side up, align and center raw edge along the top edge of bag front. Pin and baste. This is what you will have so far. 4. Center, pin and baste one handle end to the bag gusset. Do the same with the other end. 1. 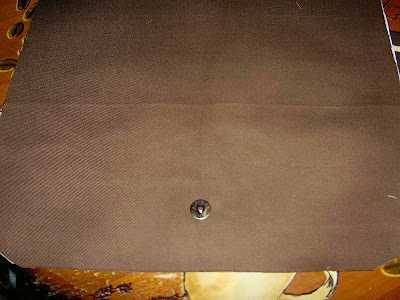 Make zippered pocket on back lining. 2. 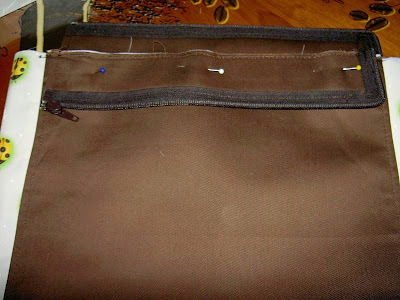 Assemble lining using same procedure as outer bag (see Attaching Gusset). Increase your seam allowance by about 1/8" (from 1/4"). This ensures your lining will sit nicely inside your bag. Leave a 6" opening on one side of lining bottom for turning later. 1. 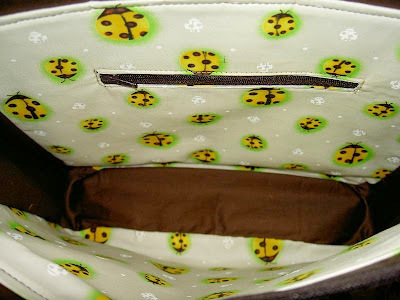 With right sides facing each other, put main bag inside bag lining. Zippered pocket in lining should be on the same side as the back of main bag. Pin in place, making sure the gusset seams are aligned. 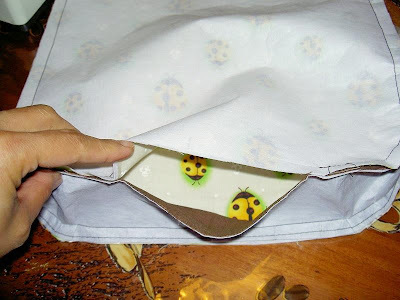 Be sure, too, that the bag handle is neatly sandwiched in between main bag and lining, going down straight along the gusset and the rest of the handle length tucked in the bottom. 2. Stitch around the top edge, using a 1/2" seam allowance this time. 3. Pull main bag out of the lining opening. 4. Slipstitch close the opening. It is good to press the bag at this point. 5. Topstitch 1/4" along the top edge. 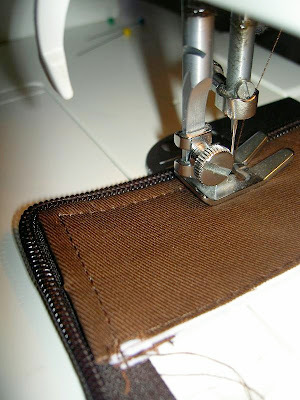 Make sure flap, handle, and zip panels are up and not inside the bag when topstitching. Remember to open up the zipper completely to separate the two zip panels. Finished bag size is 11 1/2" (L) x 10 1/4" (H) x 3" (W). Thanks for the tutorial! Just one question: what sizes do I cut of everything, I might have missed the dimentions or link to the pattern. Help? It's a lovely bag, I want to make one of my own! Thank you very much! I really need more time for sewing...your messenger bag looks so cool! Hi Carolyn, You will find the dimensions of each fabric piece at the start of each part of the project. Good luck with sewing! yay! i have been looking over messenger bag tutorials with the intent of piecing together my own, but I think yours is closest to the way I want mine to turn out! Thanks so much for posting the tutorial. It looks very stiff, is your interfacing very thick? or did you use template plastic? Hi lisamarie, Glad you liked the bag and the tutorial. 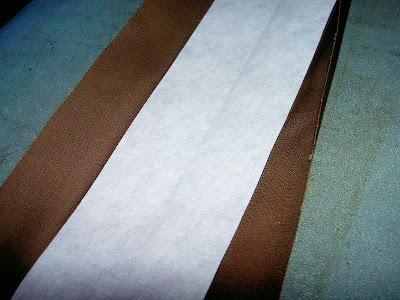 Yes, I did use thick interfacing (Pellon 50 stabilizer to be exact) for both outer fabric and lining. It's actually a sew-in kind. 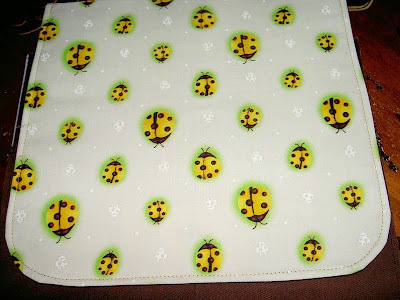 In the tutorial, I recommended fusible interfacing as I think that would be easier to work with. The finished bag is very thick and sturdy. Thanks for asking! Happy bag making! Hey Corinne - just found your blog thru craftster and I must say I'm loving it! I'm planning on making this bag for my daughter who now thinks she's too old for a regular school backpack - she's 7. :) Your City backpack is looking very good to me also. Love, love your blog. Thanks for sharing! Hi Renee, Thanks for stopping by! Good luck with the messenger bag. Let me know how it goes. Congratulations on your new bag! You did a wonderful job. Thanks for sharing your photos, I appreciate it. Thank you so much for sharing them! What a fantastic tutorial! Thank you!! hi, thanks for this pattern. I'll come back to your blog sometimes either my english isn't enough good. I wanted to know what kind of material you used. It's way cute and I plan on making one just like it. Thanks. Hi, The fabrics I used are just medium-weight cotton remnants. Glad you liked the bag. Good luck with sewing! Thank you for this pattern. I love this messenger bag! Thanks for the tutorial. I made one of these and had a good time. It was my first experience with a zipper and magnetic snap. I have concluded that a zipper foot would be helpful. :) I didn't include the inside zipper or the interfacing in mine. In hindsight, though, I would still use the interfacing even though I used a heavier fabric. Anyway, there are a couple pictures over on Flickr that you can check out. Thanks for the tutorial. Very easy to follow and the pics helped a lot. I loved the pattern and the end product. I have made three of these, without the zippers, over the last three days. Thanks again. I love this! I can't wait to make one! Great idea, and you did a very neat and professional job. Thanks! I can't wait to start mine! Thanks so much for sharing. I will include pictures when done. Such an awesome tutorial!! I wanted to make a diaper bag for a 5-year-old to use with her dolls and this was just what I was looking for. I scaled mine down a bit and didn't include a zipper or pocket inside (it's for a 5 year old, I had to draw the line somewhere!). Your directions were super!! I had never touched a sewing machine before Monday morning and I made this bag Wednesday evening. Really easy and really cute!! Thanks so much!! my favorite messenger bag broke about 7 months ago and I thought I could deal with one of the messenger bags i already had, but I couldn't and when I went hunting for the pattern I had to alter I couldn't find it. I love your pattern and it's almost exactly what how I was planning to alter the messenger bag I already had. THANK YOU SO MUCH FOR THIS!!! Thank you so much for your pdf tutorial! I was looking for a basis to make a messenger bag for a mom... I found it ! Thank you so much for this step by step bag! My version will be published on my blog tomorrow 10AM, Cayenne time. I'm sew thankful that I found your blog! 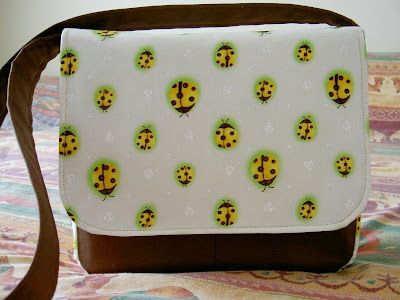 I've been looking for a diaper bag pattern and found your's along the way. I added more pockets inside and a couple of elastic loops to hold bottles. It's sew cute, and I had fun! Thank you sew much!!! I've been looking for a messenger bag tutorial with enough detail for my minimal crafting skills to understand, and I found it here! I think I'll be taking a stab at this sometime soon. Just a question though-- what is the gusset for, and what would happen if I left it out? It seems like an awful lot of fabric to be sewing together, and I don't need it to be sturdy enough to stand or anything. Hi there, The gusset is essential to give the bag depth. Otherwise, you will have a flat bag. 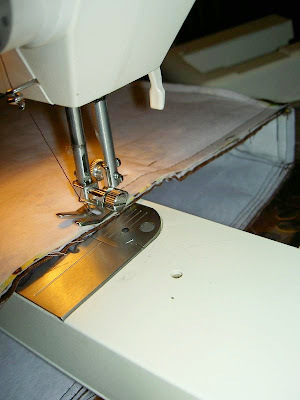 If you do not need it to be sturdy or thick, you may want to eliminate the interfacing. Thanks for asking and good luck with sewing! I like this beautiful messenger bag. Which you made it and display in your blog. Thanks for sharing with us. Great tutorial, except for one part. "1. 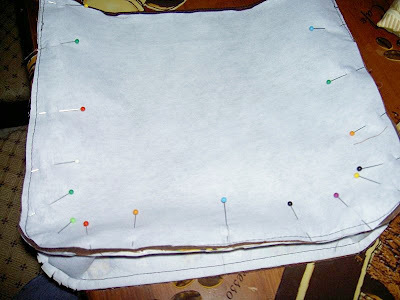 Make zippered pocket on back lining." That just doesn't seem to cover what would be involved with that step. Any chance you could elaborate? Please view the link as I did not really intend to elaborate on this step. It is optional to put that inside zippered pocket. My brother works as a concierge at a Fairmont Hotel .. he asked me to make him a manly messenger bag for work .. 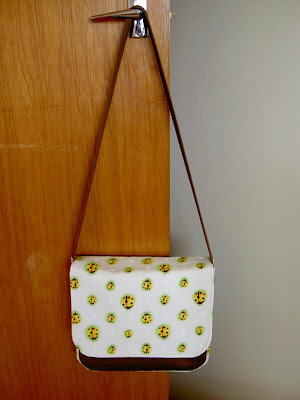 I make handbags but have never done a messenger bag .. so I set about to find a tutorial that was easy to understand as I couldn't figure out how to attach the flap .. thank you for this well written pic/torial!! :) Love your blog too! Thanks for making this available! Excellent!well done............this bag is lovely.........thank you for sharing..keep the good work! can't wait to make this bag. Would you mind if I added a link back to it on my blog? I don't mind at all, CupCakeCutie! Good luck with sewing! Certainly. You can link to this tutorial, thanks. Hi Mary, I just wanted to say thank you for posting this tutorial. 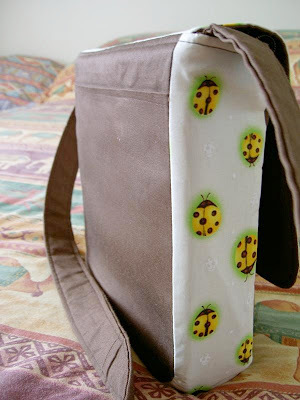 I have made 3 of these bags as diaper bags, and the recipients loved them. I made them a bit smaller than your bag, and added a bottle pocket on the side. I'm looking forward to making more of these great bags. Brilliant. Thank you for a great tut. I did this some time ago, but wanted to show it off. Thanks for the wonderful tutorial! I made the bag for my daughter, and her sister is already trying to steal it! Now to make one for her and then me! Thanks for the awesome tutorial. I can't wait to try and make one for myself, nya. excelente! muy prolijo!!! me ecantó! Thanks so very much for posting this tutorial. I was able to make it for a friend for her birthday because I didn't have to pay for a pattern which made it more economical. Just made your messenger bag. My first zipper! The whole thing was a success. Thank you so much!! Love this bag! Made one for myself, a little larger, as a computer bag, and I'm going to make a couple for end-of-the-year teacher's gifts. this bag is awesome, so I made one for myself. Thank you for sharing such a fun and useful tutorial! Absolutely Brilliant. Hooray for people like you who give your time freely so others can learn. Thanks for this tutorial. I have added this to my must do projects! Great tutorial, very straightforward, and now I have the cutest school bag ever! Isn't the edge of the zipper now *inside* the lining?? Thanks for a fabulous tutorial! Do you need another comment up? I just have to say, I just this minute finished making this bag using scrap suiting and upholstery fabric I've had lying around. It was supposed to be my experimental bag while I learned to make the "real" one, but I LOVE it! Thanks for a great tut and a wonderful bag! If you haven't tried sewing a bag before, my suggestion is for you to try something simpler first, maybe like a tote bag. I'm not an experienced sewer myself and I started with bags with no curves, flaps or zippers. This messenger bag might be a bit complicated to make without a sewing machine because you will be sewing through thick layers of fabric. But then again, you might be an expert in hand sewing. Just take it slowly. thanks for the great tutorial - even with the added challenges of repurposing a jacket, I found it came together fairly well. Quick Question: Is the seam allowance included in your cut measurements, or do I need to add another 1/2" to give it the 1/4" SA? Thanks! All measurements already include the seam allowance. Hello I see your measurements are in meters for the fabric, my question is when you say like 1/2" seam allowance or something does that then mean inches?? I am sorry for the confusion. It's just that the fabric here is measured in meters but I am more used to the English system. Yes, the " sign connotes inches. hello! i saved your tutorial about a year ago, and i made this bag today. it is a great tutorial. i don't use tutorials, but your's was calling me an i had to try your messenger bag. i am just wondering if you agree to sell bags made of your tutorial? 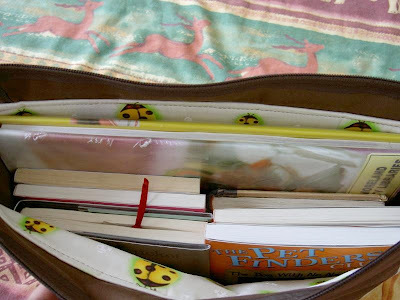 if you want to see my bag from this tutorial you can visit my blo, i will add a post with photos in few days. Sure, go ahead and sell your bags! If you are going to do so online, a link back to my blog would be appreciated! im just thinking about it;D but thank your for saying yes! i will link your tutorial on my blog in few days for sure! its perfect! I used really heavyweight interfacing for this particular bag so it pretty much holds its shape even with nothing on it. 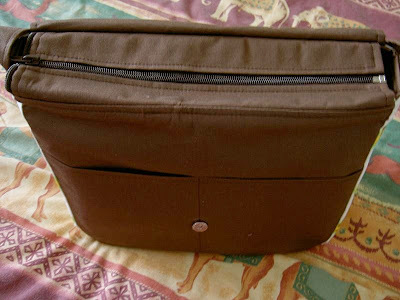 Most bags I have seen with an additional support have boxed bottoms rather than a curved one like on this messenger bag. I'm sorry I couldn't be of much help! Your fine! :D I was just wondering, Cause outta all the bags I saw , I really really like this one the most and I'm thinking of still making a few. Thankyou so much Corinne!! Hi thank you for this wonderful tutorial... I would like to know why some steps you say to baste pieces together.. I thought basting is used for temporarily seams.. Could I just use a normal stitch instead of basting? I prefer to use longer stitches because yes, these are temporary. They are just meant to hold the pieces together in preparation for the final stitching. But yes, you can use a normal stitch length but be sure to sew using a smaller seam allowance because they are meant to be hidden in the end. What are the dimensions for the final product? And thanks for taking the time and effort to make this tutorial. It means that beginners like me can teach themselves to sew as well as afford to since I don't have to spend money on patters. Please refer to the tutorial for the finished bag dimensions. It's given right at the very end. I am in love and scared at the same time. I have never sewn something with a liner. 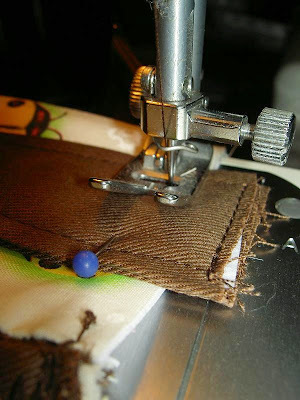 Question: When you say "Pin and baste" does baste mean to sew or iron the interfacing together? Never mind I figured out the answer to the above questions. Wow!!! lovely! You do such pretty work. I think it is fantastic to have such beautifully made bags for little girls. I cannot wait to see your dogwood bag, though!! Thanks for sharing this post so much. Just finished making a bag. Your tutorial was very well written and easy to follow. I enlarged my bag a little to accommodate a 3 ring binder. I linked back to your page. Hi - I'm looking to try out this messenger bag as it looks like exactly what I want. One question though, what is an open-end zipper? Google isn't really helping me, and the zippers at my Walmart sewing section just said all-purpose. I can't seem to find open-end on Hobby Lobby or Joann's websites either. Help please! 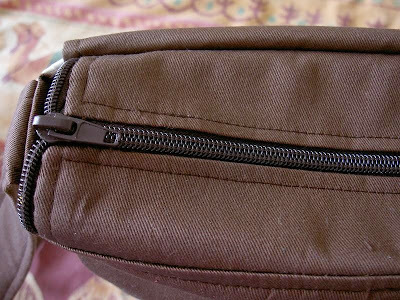 Open-end zippers completely separate into two parts, like the ones used in jackets. I don't know if it's called the same way in the US (maybe, 'separating zipper'?) but for sure, you will be able to find it in any craft/fabric store. Good luck! OH. *That* kind of zipper! I was totally confused about a zipper that would separate into 2 parts, trying to figure out how you don't lose the pull when you separate it. Google helped that time. Good grief. Thanks for the help! that's fabulous tutorial!! :) i'm gonna use this to make my own, haha! good thing i found this. One question thoughm can i use old jeans instead of the brown fabric that used? Yes, you can use old jeans or whatever material suits you. I love it and it is so simple to do, I’m going to try making it in different sizes, thank you, thank you and I cannot say it enough thank you. i really2 love love love love this bag.. i plan to make one for myself and another one for my son..thx for sharing this tutorial.. its really helpful to ppl like me.. thx so much.. i just hope i can find the open end zipper ..
Back again, to say that this bag is super-duper functional, sassy, and cute! It's the perfect size already, but playing with the size aspect is definitely doable. I am in the middle of making my 5th (yes 5th, hooray!) lovely messenger bag. Thank you sooooooo much for this wonderful tutorial. I have made lots of purses and bags but have not tried the messenger bag. Will have to try your pattern. Thanks so much for the tutorials on these bags. I learn something different every time I try to make something. Thanks again. This bag was awesome! I made it except I zippered the outside back pocket and mad a second divider and pocket on the inside. My purse was dying and I knew I needed a space for pencils/pens. Oh also - hasp for key & adjustable belt. You instructions were perfect! Can you please tell me what particular Part and number in the tutorial you are referring to? Hi, thank you for wonderful tutorial! It was very clear and easy to use. 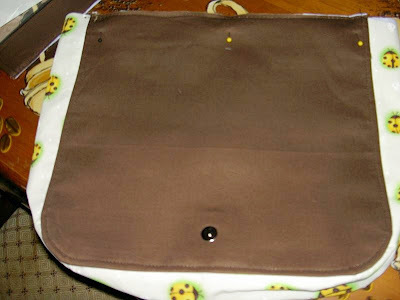 Here is a link to pictures of a bag I made this weekend, http://www.facebook.com/media/set/?set=a.349501501740322.89418.100000414244059&type=1&l=2c8553caf5. I used your pattern/tutorial and modified it with some ideas I took from my old messenger bag. I added three inner pockets and a front zipper pocket. LOVED your tutorial..it was very easy to follow..have made two bags already, one for myself and one for a friend. thanks so much for posting your wonderful tutorials and recipes..we out here in internet land really appreciate your time and hard work in developing them and your kindness in posting them so we can share your skills. Hi. Brilliant tutorial. This is my first sewing project but my experienced mum was on hand to help me. We just made the dimensions a bit bigger so I can use it for college and fit all my files in. Worked really well. Pictures can be viewed at http://www.facebook.com/media/set/?set=a.10150649545807756.397015.508887755&type=1. Thank you for the amazing tutorial. It was so helpful. Thank you. I just finished making a bag and I love how it turned out! Thank you for going through all the work to create and post this tutorial. Hi, thanks for posting this tutorial. My daughter's 9 birthday is next week and she's been wanted a messenger bag for school now that she'll be one of the "big kids". I'm going to make it out of her school uniforms that she has outgrown. Can't wait. my brother got my a teenage muant ninja turtle little kid bag from a yardsale i cut some part off the bag and adding to the bag im making from your tutorial im aslo using couorey so it looks cooler im sooo happy it going to be my new school bag YAY!!!!!!!!!!!!!!!!!!!!!!!!!! Thank you very much for taking your time to write this tutorial. This bag was perfect for me, just the right size and plenty of pockets. The directions were easy to follow and my bag turned out perfect. I left out the zipper and sewed a lanyrd in to clip my keys on to. 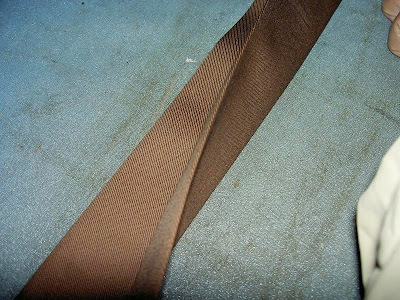 Ufortunately I made it out of some old pinwale corduroy, and it ripped after about a month. Bummer. Will have to make another one (or 2 or 3) out of something more durable. thank you for the tutorial. I love the size, it's just perfect for everyday. Um i was wondering about how many yards are in a meter? because that's what they sell them by here. Also where do you buy ur fabric or more specifically what do you mean by medium weight? One meter is just slightly larger than a yard, so for say, a meter of fabric required here, just buy one yard. There's so many types of fabrics, it's hard to explain. Just don't use something that is too soft and delicate for a bag. Quilting weight cotton is good. If you want to do away with interfacing, get a home decor or upholstery fabric. what do you mean by the long side? I'm really new like this is my first project new, sorry for all the questions. The second half of this post is about my bag. I used fabric from Ikea that I really liked. I'm so sad! I made a bag for my touchscreen laptop but your directions are much more concise and cuter! Where can I pick up the yellow ladybug prints? 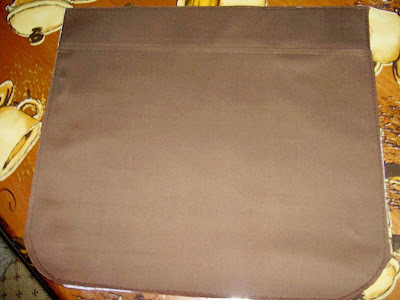 @Amy V - Did you add any paddings inside the bag to protect your laptop? I just want to say I love this tutorial. I used it once as a quick learning project a couple years ago. I loved the results so much that I used the bag daily until the bottom was too worn (I even got compliments on it). Now I'm relearning how to sew and have come back to this tutorial once again. The instructions are easy to follow and the end results are quite polished. It gives you a good idea on how to construct a bag, I will probably continue to use it as a basis for future sewing projects. Thank you! Really helpful tutorial. Thanks again! What a great bag! Thanks for sharing the directions! 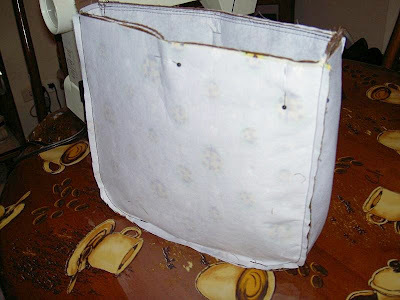 This tutorial had the element that I was looking for ( fabric flap top zipper closure). This will make adding this element to my purse pattern a lot easier! THANK YOU! Please don't copy this tutorial onto your own website. If you want, you can leave a link back to this page. Please read the COPYRIGHT NOTICE on the sidebar. Thanks. All the measurements are given in the above tutorial. Make your knitted panels in the same size. Perfecto!! Muchas gracias por su tutorial!! Thank you very much for the great tutorial. I modified and made my own bag for travelling. My first effort so I'm please. I went without the zip, but will try that next time. I made a larger version of your bag for my daughter to use in high school this year. I added a cell pocket on the outside and pencil slots and an additional covered pocket inside. She loves it. Thanks for the inspiration! Just want to ask where is the measurement for the "side" and bottom of the bag? what letter is that on your pattern? Part F. The gusset is the side and bottom of the bag. 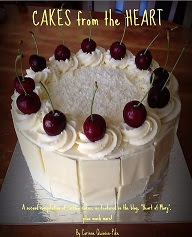 Who is Heart of Mary? © 2008-18 Heart of Mary. You are free to link to this blog or to any of my posts. However, please do not copy my posts, whole or even in part, onto your own websites. With my permission, you can use some of my photos for reference BUT you are strictly prohibited to copy these photos, to use them to advertise/sell your products and to claim ownership over them by putting your own watermark over them. You are welcome to use the free tutorials to make stuff to give away or sell but please do not print out copies of these tutorials for distribution. 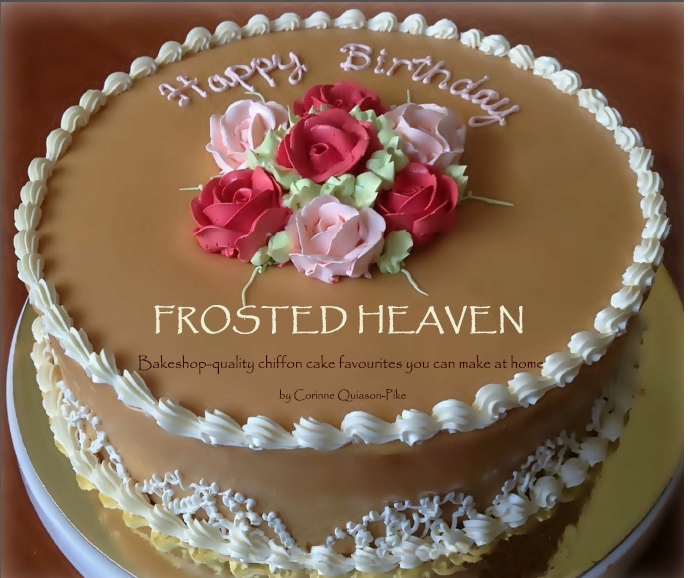 This is a beautiful compilation of the most loved chiffon cake recipes on this blog plus much more! All recipes. old and new, have been standardized and improved to give you even better results. Sign up to be a Follower! Simple Things - My Etsy Shop!